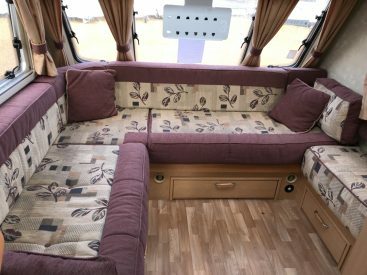 Twin Axle, L-Shaped Lounge, Side Dinette, End Washroom, Fridge, Gas & Electric Hob, Grill, Oven, Microwave, Extractor Fan, Mains Electrics, Battery Charger, Water Heater, Blown Air Heating, Stereo System, TV Aerial, Electric Flush Cassette Toilet, Separate Shower, Heki-Rooflight, Blinds, Fly Screens, Door Fly Screen, Lino Flooring, External 240v & BBQ Sockets, Alloy Wheels, Spare Wheel, Hitch Stabiliser, Alarm & 6 Month Warranty. 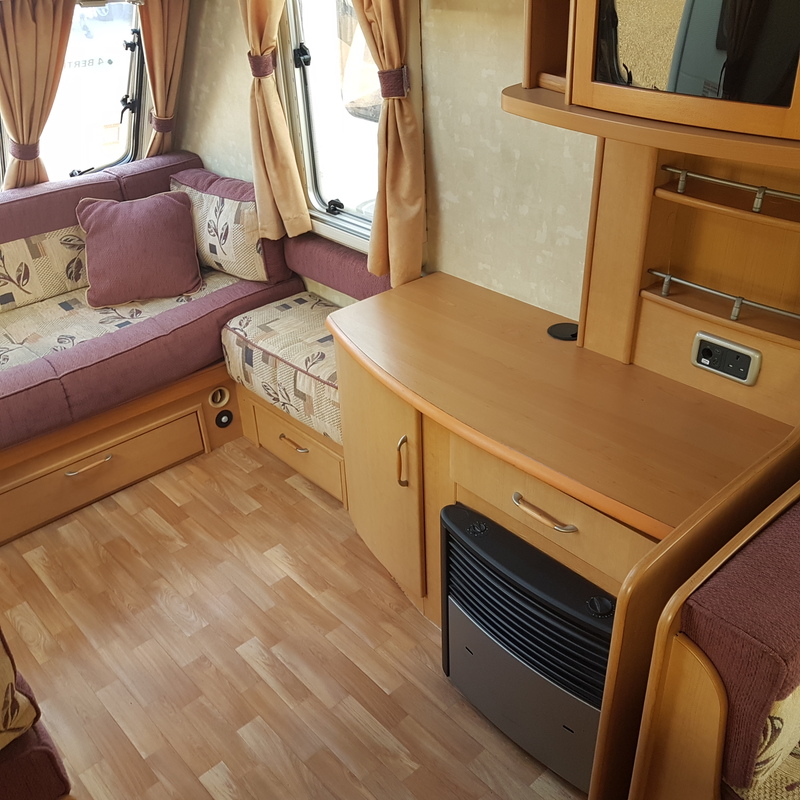 Our Say…….. A solidly built, well equipped, substantial Abbey (Swift group) caravan in good condition both internally & externally for its age, with a popular flexible layout, incorporating a massive L shaped front lounge, side-dinette seating area with table, a well-equipped centre kitchen & good sized end washroom. 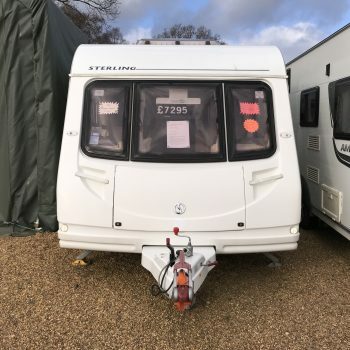 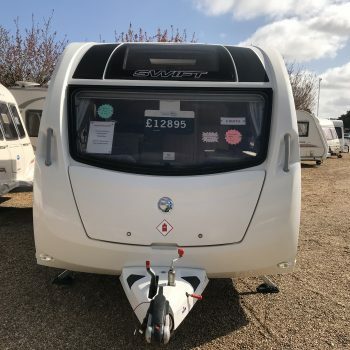 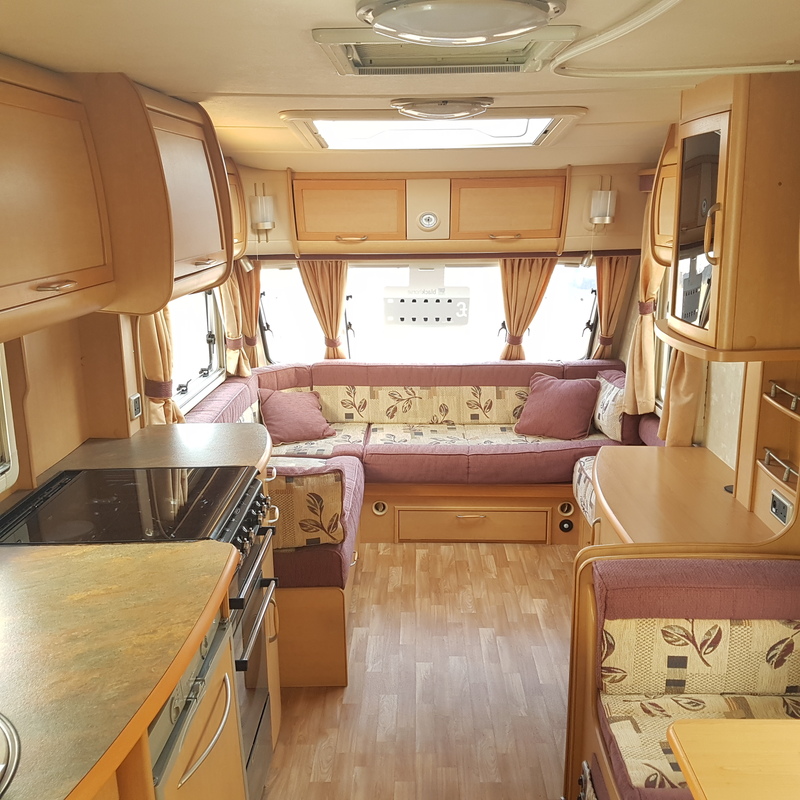 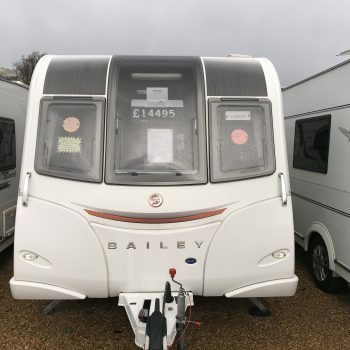 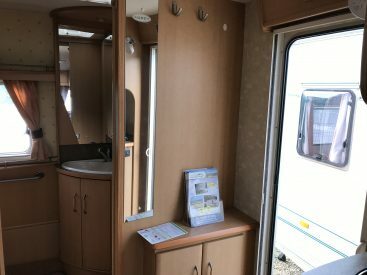 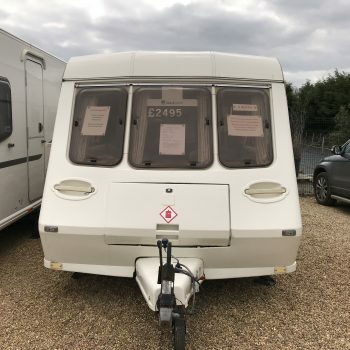 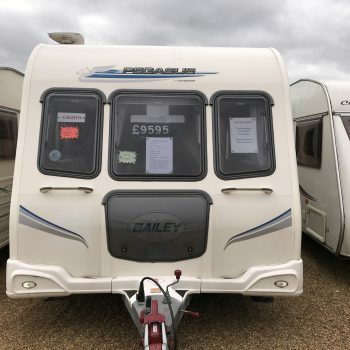 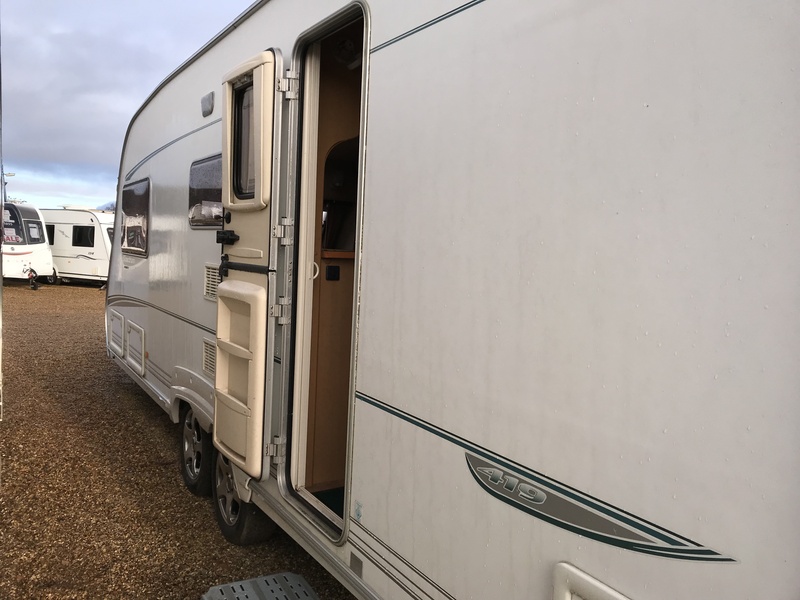 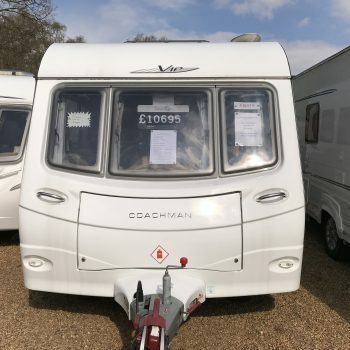 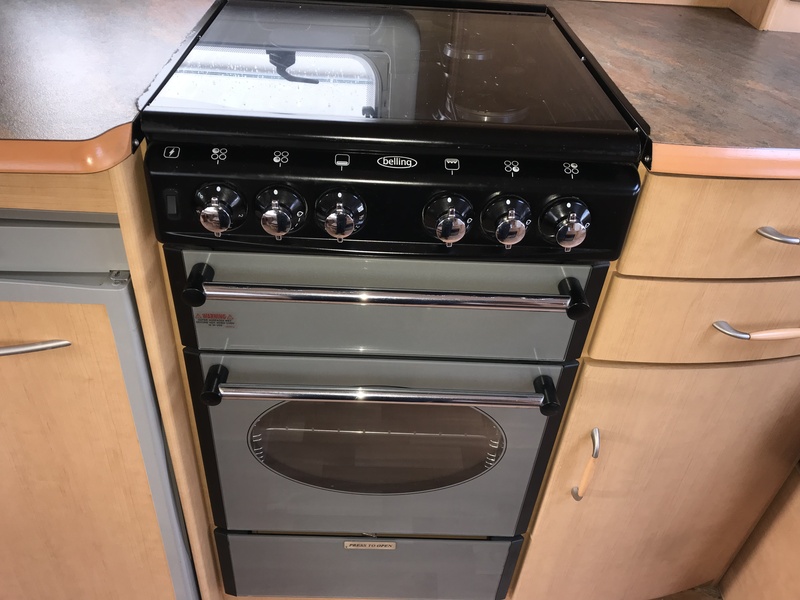 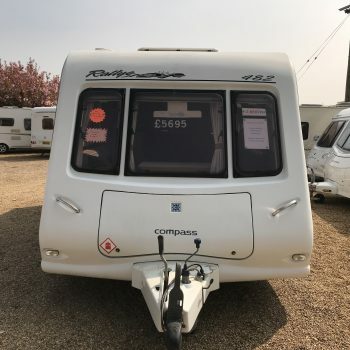 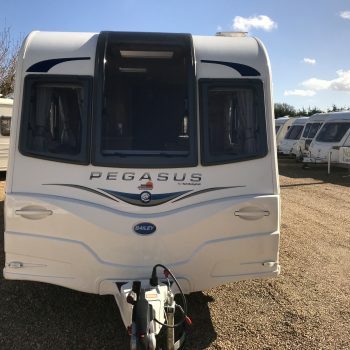 Whether you are a couple looking for a caravan with a lot more space than a standard four berth, or a family with children looking for a caravan that provides ample living space and bunks for 2 children, plus a good level of comfort and equipment then this could be the caravan for you. 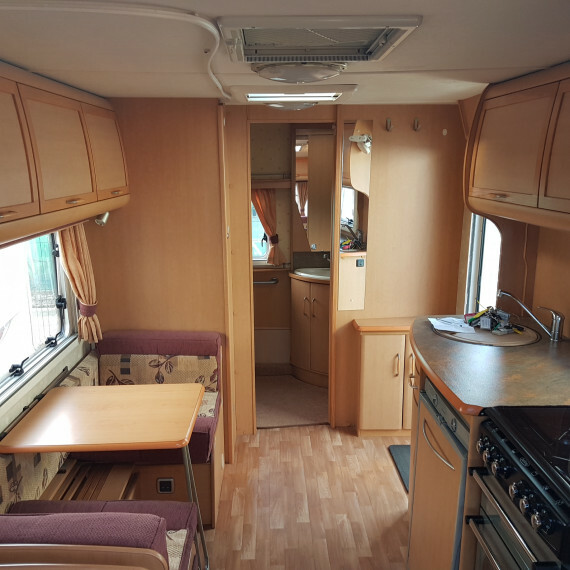 This Spectrum caravan would be equally at home used as a tourer or sited on a seasonal pitch & used as a static. 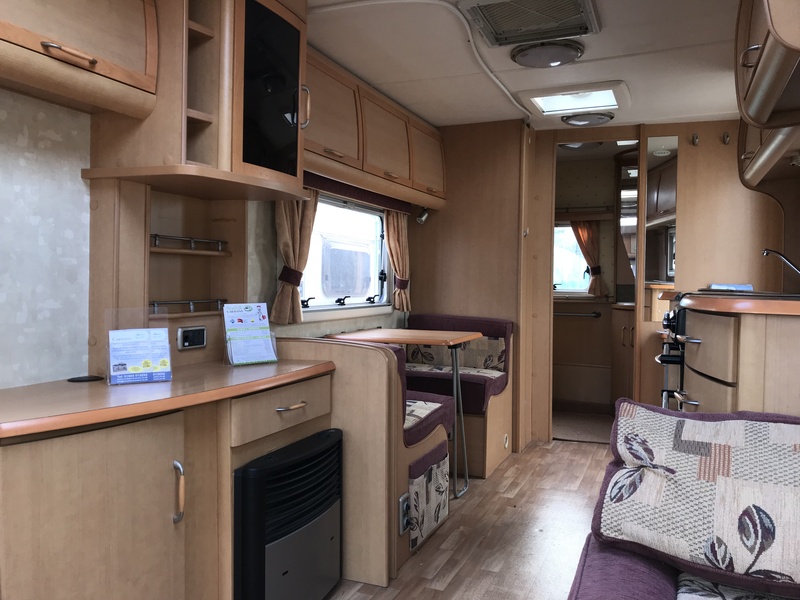 The phrase ‘come on over to our place’ would certainly apply to this caravan, with enough seating for two families let alone one! 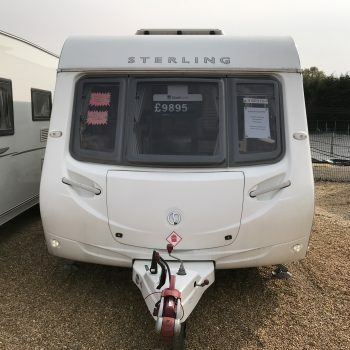 Priced at £5,995.00 (Reduced!). 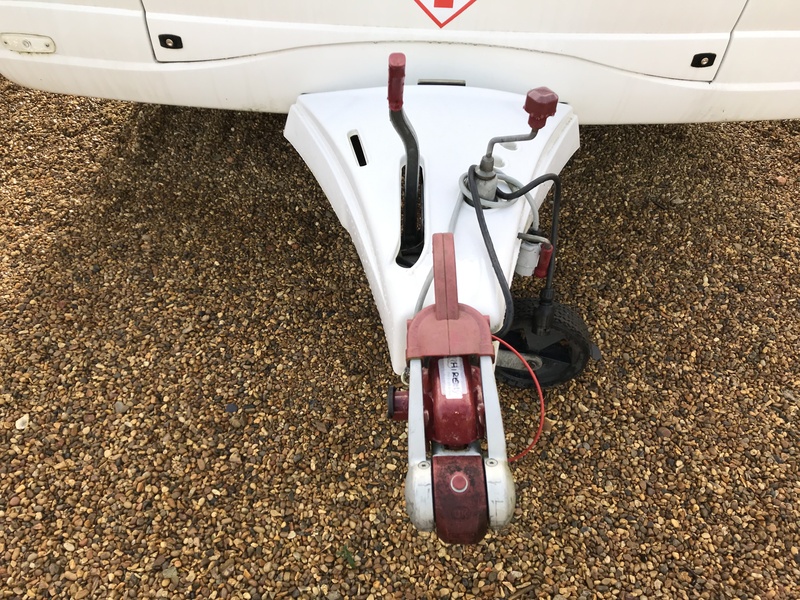 In our opinion…. 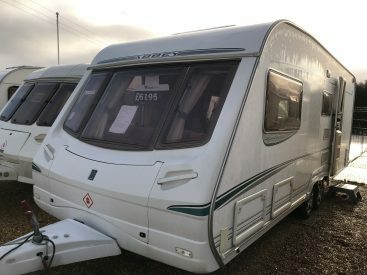 that is a whole lot of caravan for the money! 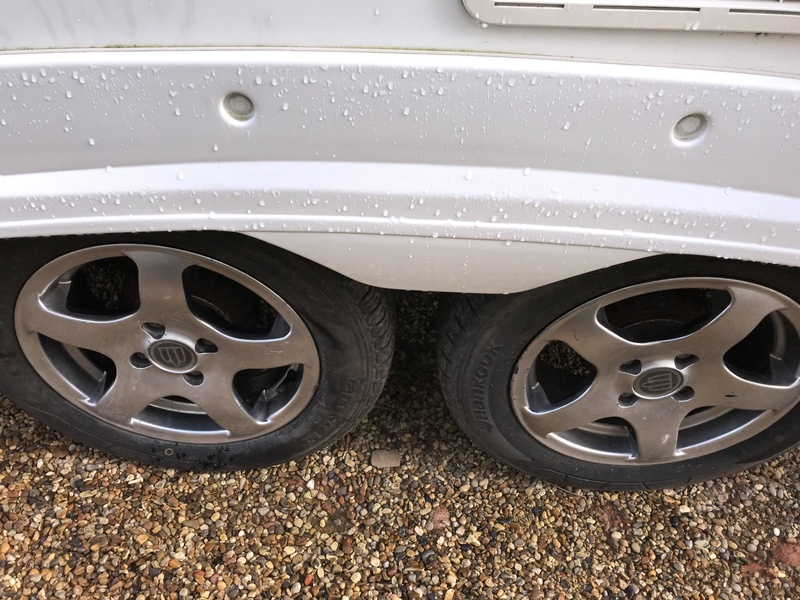 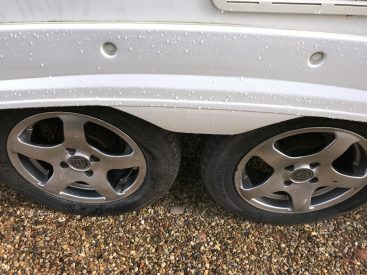 This caravan will be supplied fully serviced & include 6 months warranty. The caravan is complete with all the relevant documentation and a set of operating manuals. 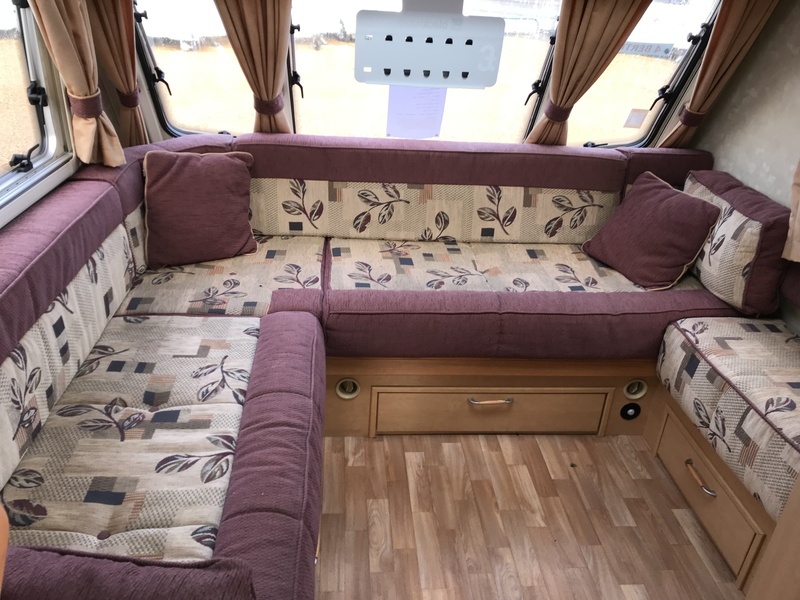 Front Lounge: The front section of the caravan has an extensive lounge area featuring two full length fully sprung bench seats in an L-shaped design, with storage and locker doors to the underneath for easy storage. These can be used as two single beds or more likely converted into a double bed using the pull-out slats (berths 1 & 2). 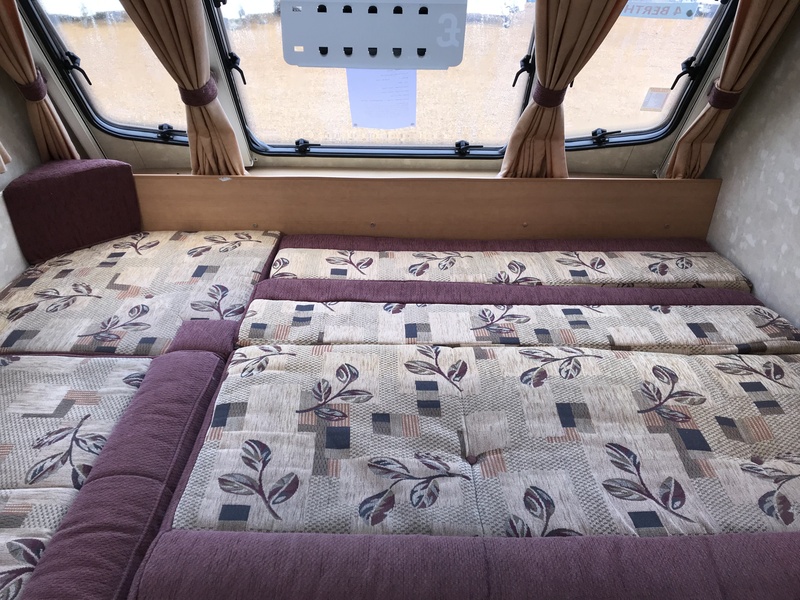 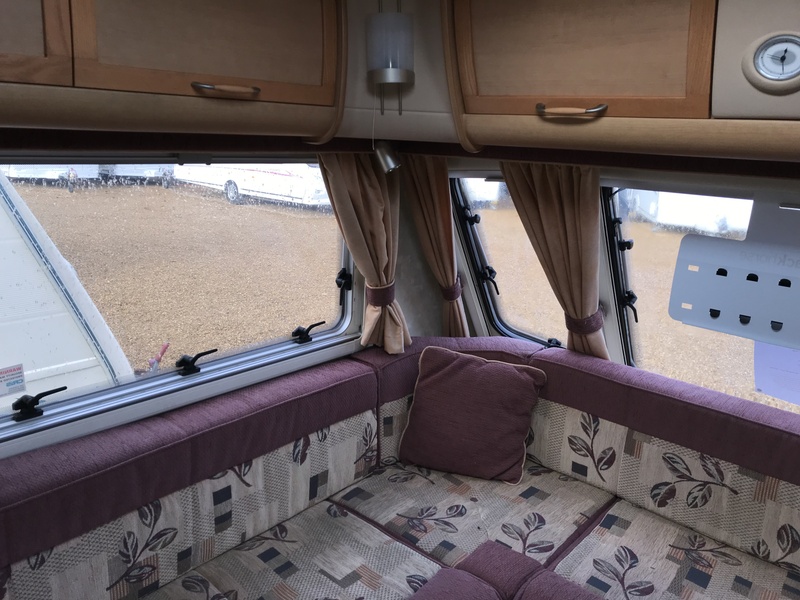 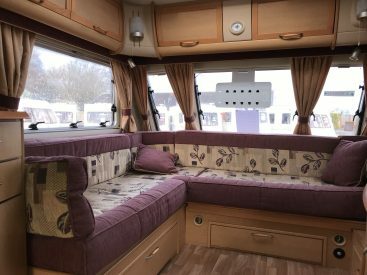 Next to the L shaped sofa is a further ‘jump’ seat with a full sized vertical window behind, which alongside the 3 large windows at the front of the caravan offer a nice panoramic view. 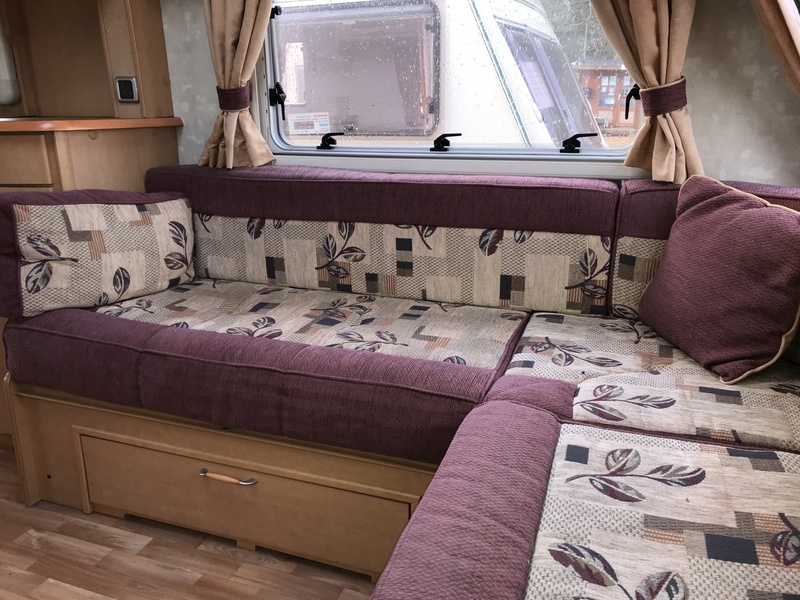 The soft furnishings are upholstered in a ‘Johan Stanford’ mauve & cream patterned design fabric with matching scatter cushions & toning curtains and there are detachable carpets with a practical wood effect vinyl flooring underneath. 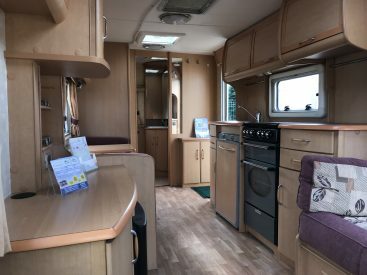 The furniture including the numerous spacious overhead lockers are finished in ‘Pennsylvania Cherry’ coloured veneered laminate & all table tops & work surfaces have rolled edge mouldings and are finished in Maple woodgrain decorative laminate. Set into the ceiling is a large Heki 2 rooflight that gives the lounge a light airy feel as well as plenty of ventilation when opened. 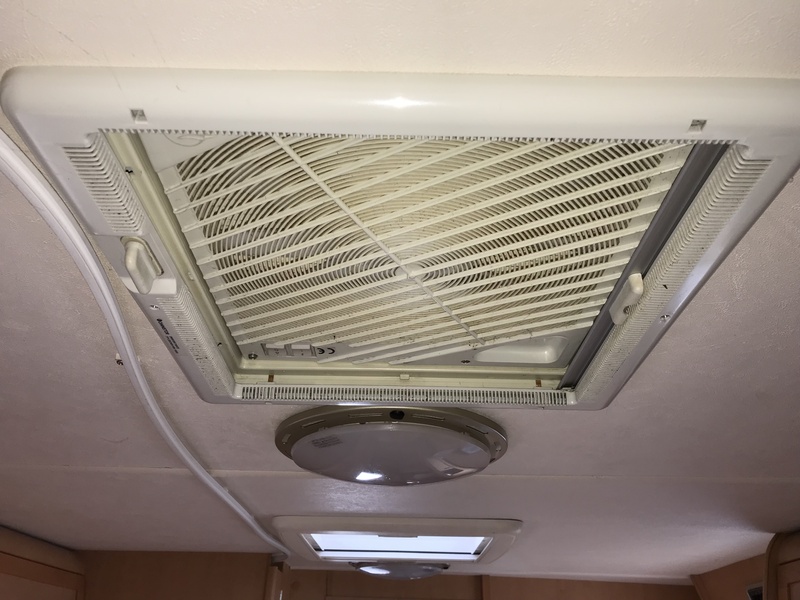 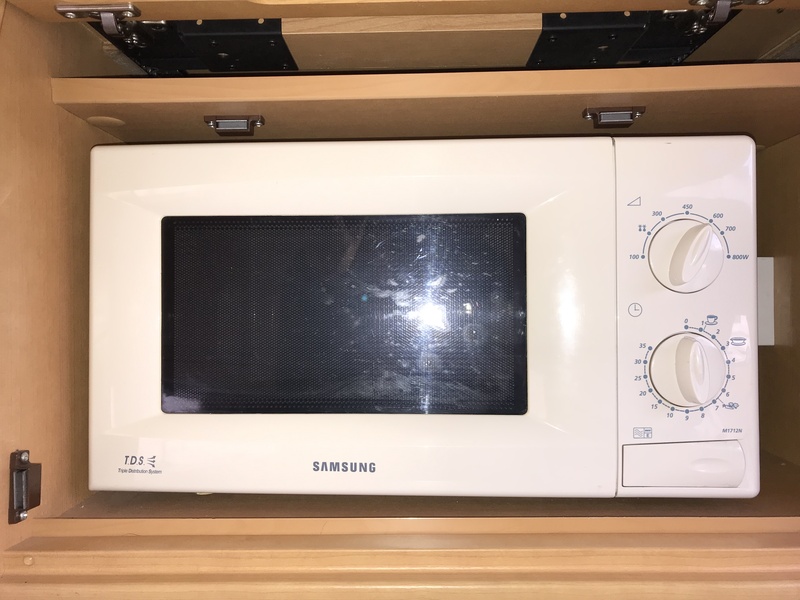 Concealed within an overhead locker is a branded CD/Radio with fitted speakers also a TV point with 12v, 230v and co-axial sockets are also present. Moving back through the caravan is a side board/ cupboard arrangement with mounting for a TV on a good sized work surface & a cocktail cabinet above. 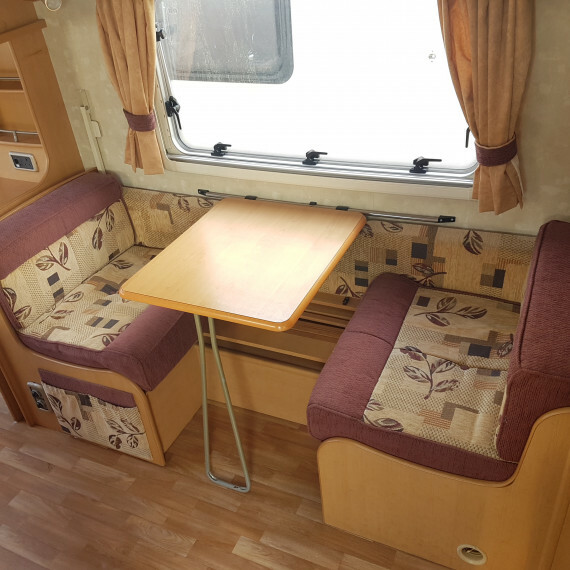 The Side Dinette area runs along side, complete with a folding table & two single seats, upholstered in the same fabric as the lounge, for an additional living or dining space. The side dinette converts into 2 single bunk-type beds, by using the lift out top bunk system (berths 3 & 4) and is separated at night from the rest of the caravan by a privacy curtain. 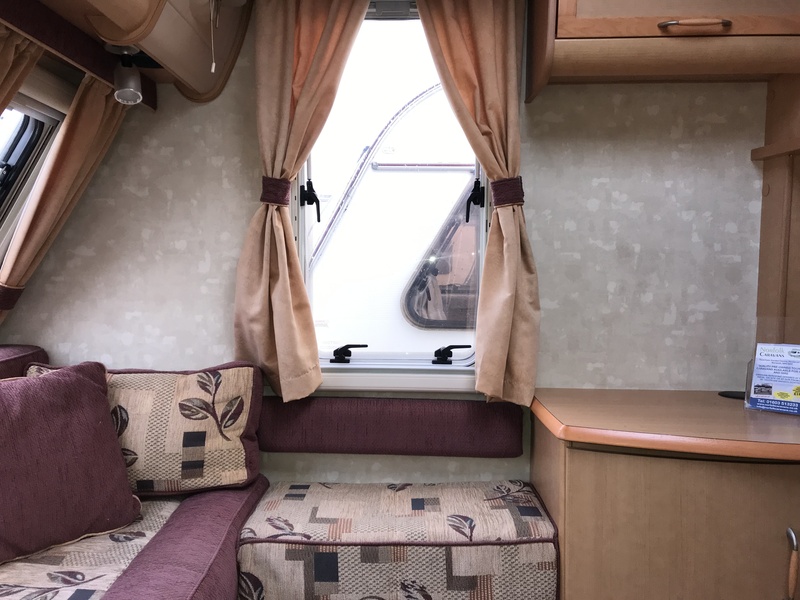 Next to the side Dinette is a narrow floor to ceiling cupboard providing storage for the privacy curtain along with a freestanding folding table (seats 4). 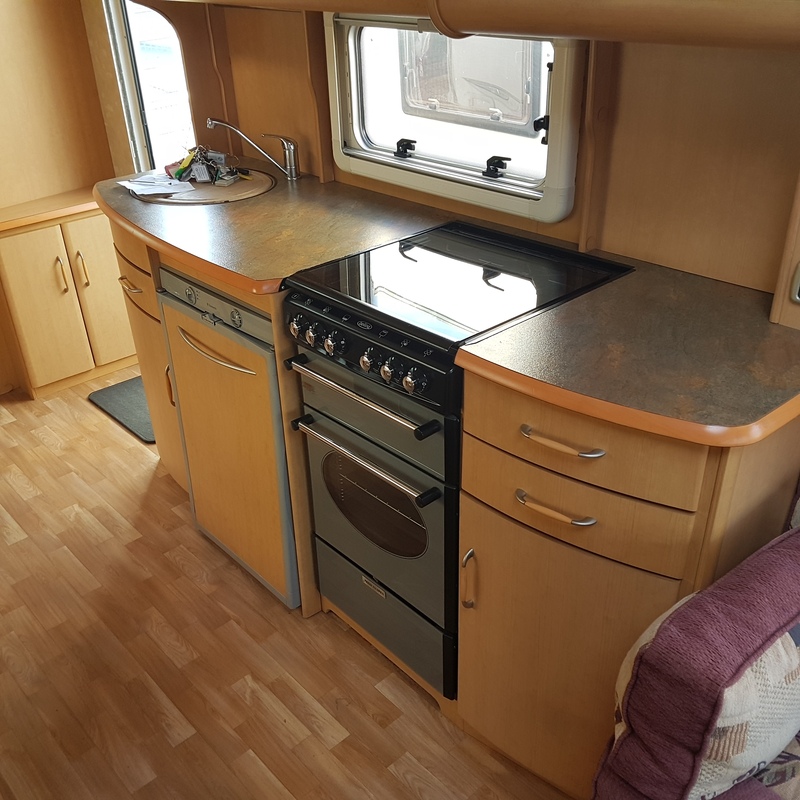 Set in to the ceiling in-between the side dinette & the kitchen is an Omnivent 3 speed fan with skylight. Centre Kitchen: Opposite the side dinette is the well-equipped centre kitchen which has a Dometic 86ltr 3-way fridge including full width ice box & salad tray, Belling cooker with 4 burner dual fuel hob, with 3 gas burners & one 800watt electric hot plate, separate grill & oven, there is also an eye level factory fitted microwave. 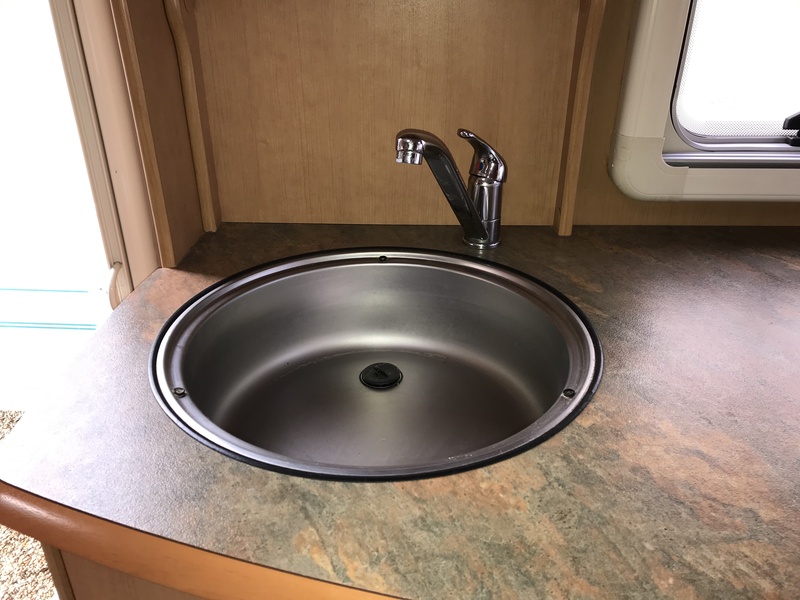 There is a recessed stainless steel kitchen sink with space saving removable drainer as well as a chrome pillar mixer tap. 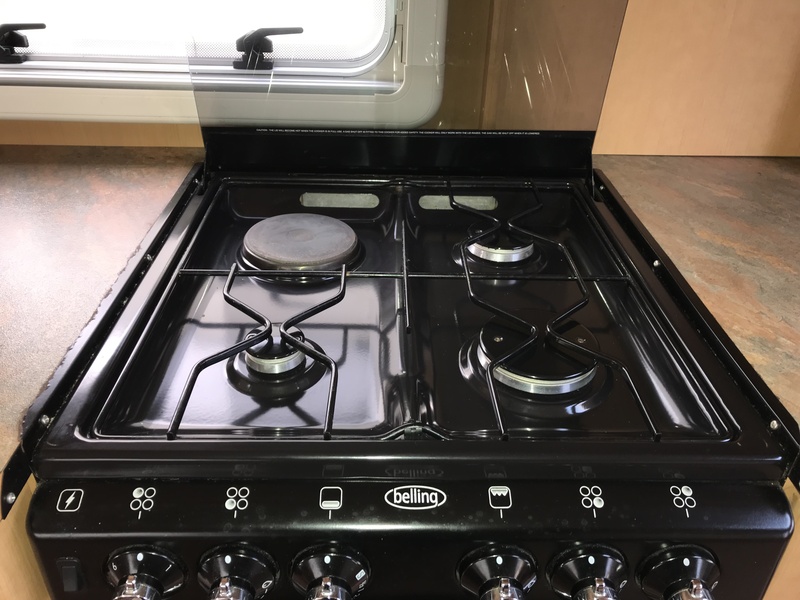 The glass safety hob cover with cut out feature, also is able to withstand hot pans adding to the already ample heat resistant work surfaces. 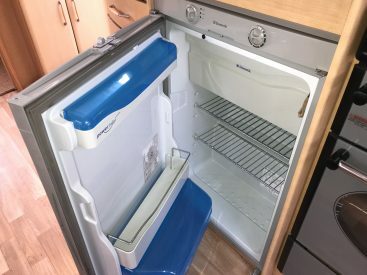 Plenty of cupboard storage is available for crockery & kitchen essentials. 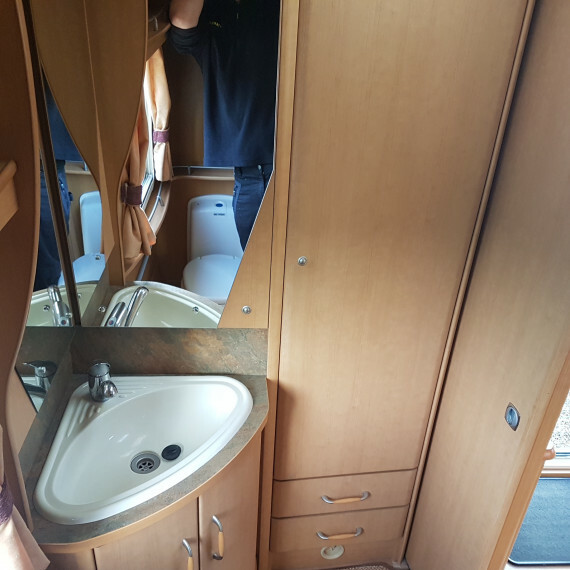 Rear Washroom: At the rear of the caravan the washroom is spacious and well appointed with a separate fully lined curved shower unit with chrome mixer tap, a good sized wardrobe with hanging space, a swivelling Thetford c250 toilet, a gloss white sink with chrome mixer tap set into an attractive mirrored vanity unit with a clever concealed storage area. Heating: Dual Fuel Gas/Electric Truma Ultraheat hot air heating system with blown air heating points throughout the van. 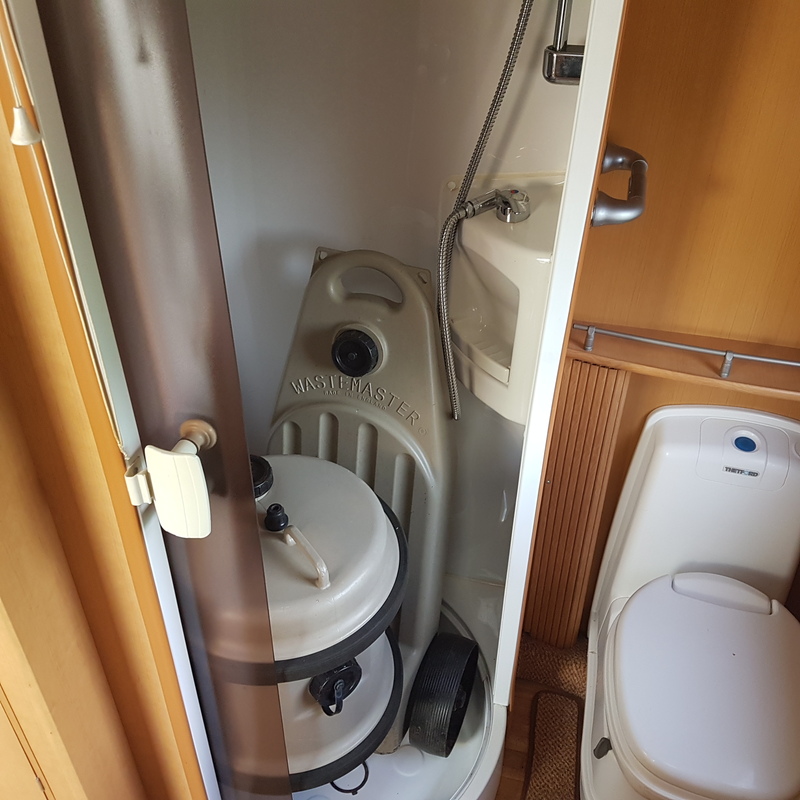 Hot Water: Truma Ultrastore Dual Fuel Gas/Electric hot water system. Water system is run by an external submersible pump. 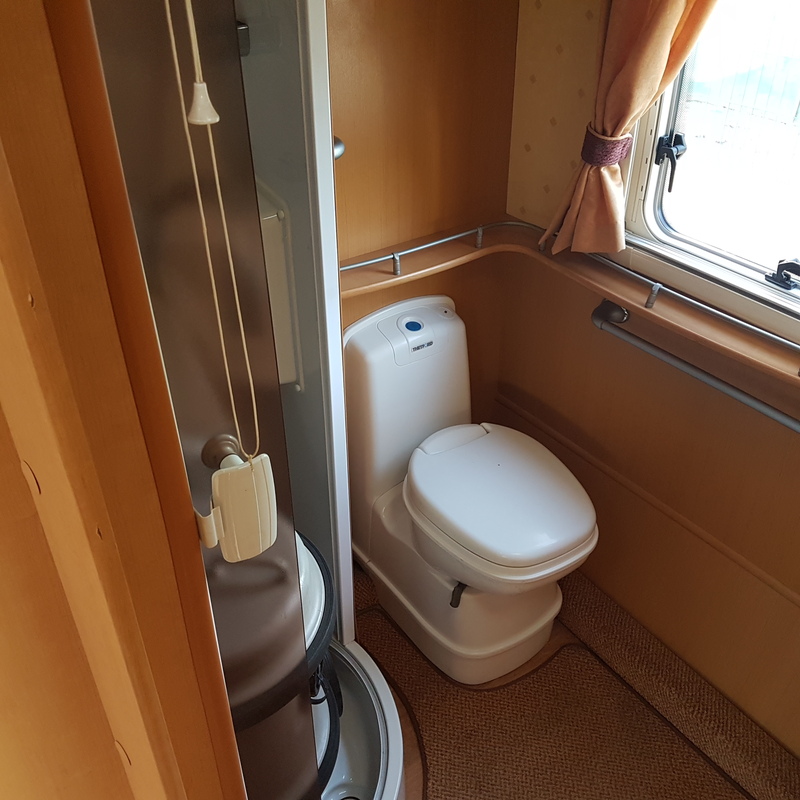 There is also an internal 9 gallon (40ltr) water tank, filled via the aquaroll & doubling its capacity, with a gauge to show level. 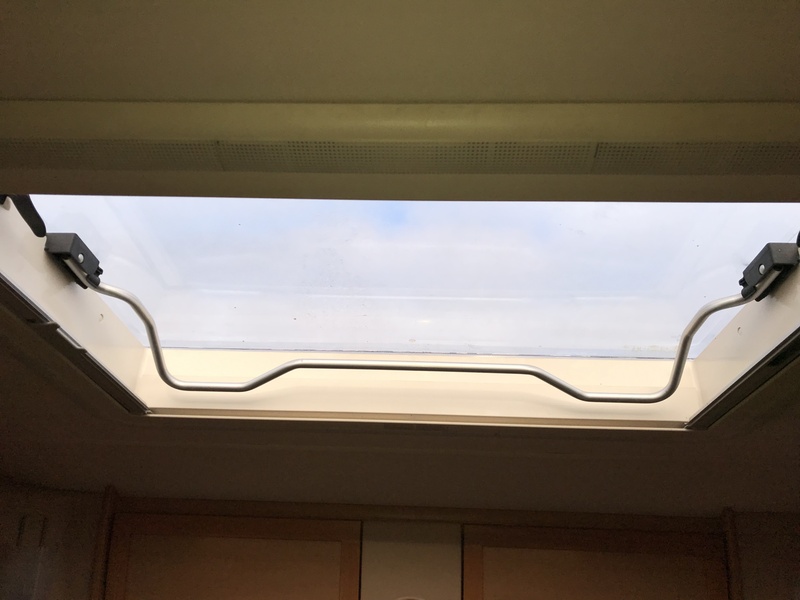 Windows: All the windows in the caravan are double glazed throughout & fitted with fly screens, black out blinds & have night latch ventilation. 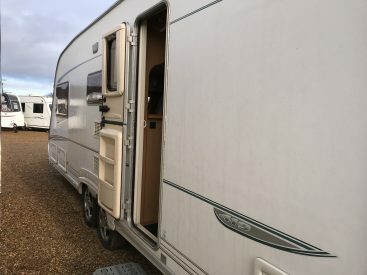 External: Stable type external door, flush fitting awning light, Status TV/FM aerial (digital compatible) with booster, lined external locker with 230v socket, BBQ Point, awning warmer, AL-Ko lightweight chassis & hitch stabiliser, large front locker with storage for 2 gas cylinders + equipment, 14” alloy wheels, spare wheel in an underslung carrier. Also Included: Mini Heki with blinds to entrance area, electrical control panel above entrance door, 4 x 230v sockets (1 x external), Alarm system PIR + tilt sensor & easy to use key fob operation, propane Gas cylinder, 85Ah leisure battery, mains lead & water/waste containers. Full Service + Six Month Warranty Included.